Support provided by our myeloma support nurses via a free call telephone support line and the facilitation of information and support groups throughout the country. This enables fellowship of patients and carers within the myeloma community. 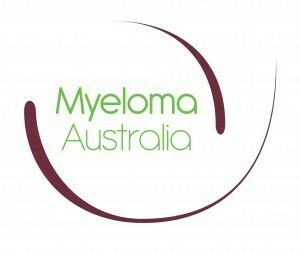 Myeloma Support Nurses - Myeloma Australia employs highly skilled support staff who are available to discuss myeloma related issues with those living with myeloma, their family and friends and health professionals Australia wide. Myeloma Telephone Support Line - A confidential service providing patients, relatives, carers and health professionals with ready access to information about myeloma, relevant referrals and support. Myeloma Workshops and Seminars - Providing the myeloma community access to up to date information from myeloma specialist doctors and other health care professionals. Myeloma Information and Support Groups - A welcoming and friendly space to meet other members of the myeloma community to share experiences and learn from various guest speakers from a health management and practical perspective. The myeloma community in Australia and health professionals working with the myeloma community. Your bequest to Myeloma Australia would be used to continue support, education, information and research to those affected by multiple myeloma. Please contact head office for further information on how you can be involved. All money donated to the Myeloma Foundation goes directly to the Foundation to fund our programs and services. All donations (above $2) are tax deductible as we are a registered charity and have direct gift recipient status with the ATO. We are also audited annually as per our constitution although this is not a legal requirement. We are very proud that we push so much money into our services and continue to grow and support the myeloma community. There are transaction fees attached to online donations. 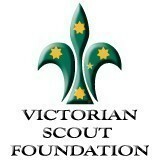 You can opt to cover these fees by ticking the box provided to further assist the Foundation if you choose.